Have a couple of brothers-in-law with upcoming birthdays, so I used this beautiful set for the first time. Love the scenes that can be created with it. 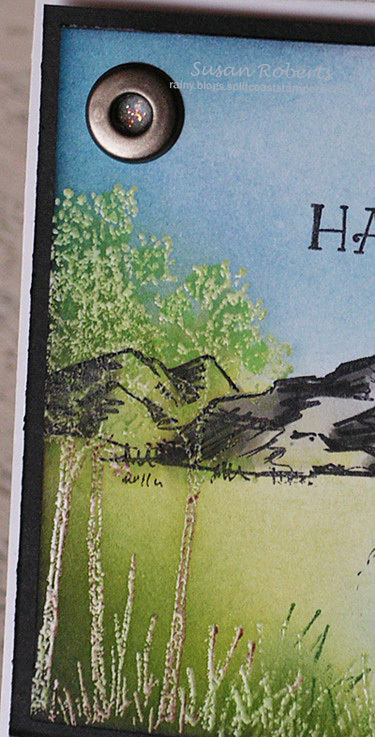 The trees and grass were embossed with a clear embossing powder. 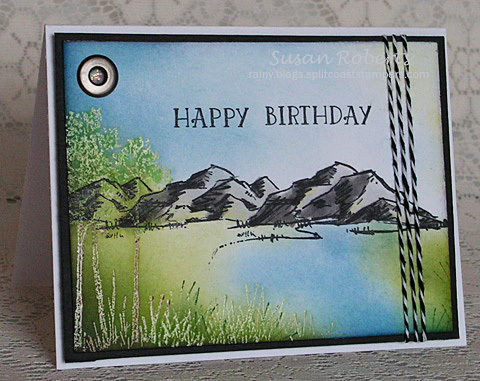 The sponging over the embossing uses the emboss resist technique. 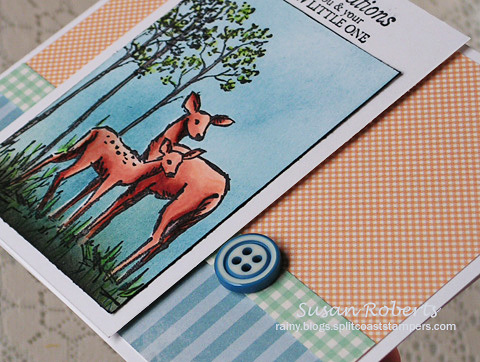 This lets the white card base shine through the ink on the sponged areas while giving it some wonderful texture, too. I have always loved this look. 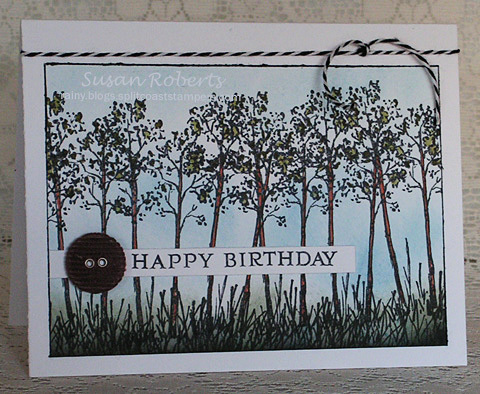 This scene on this second card was created by stamping the trees image in a row several times. 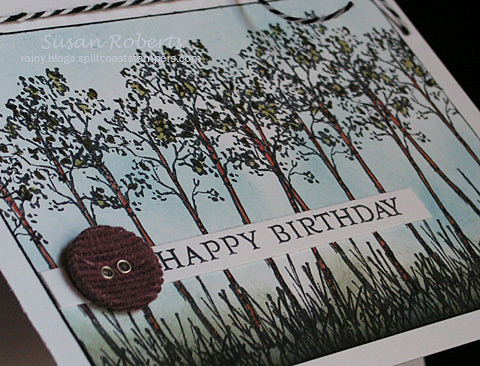 Grasses were also added along with some sponging. The trees have been colored with Copics. 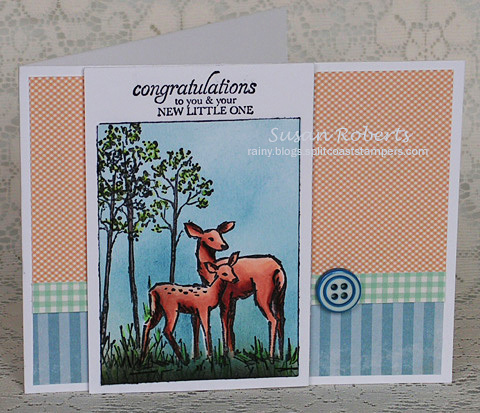 Using the sweet deer image from this same set, a little scene was created for a mom and special little guy born just a few days ago. The button is an antique button given to me by Sharon Johnson. Love.